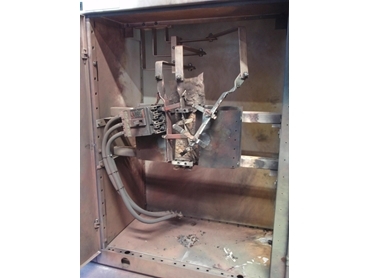 A frightening demonstration of what can go wrong if switchboards are subjected to faults is planned by NESMA ’s Victorian branch when staging their Annual Seminar at the ITACS testing facility in West Heidelberg this October 15. The invitation-only event will be a particularly valuable learning experience for younger people entering the industry as well as old hands who want to show customers the effect high fault levels can have on switchboards. “Most people are unaware of the amount of energy released from circuit protection devices when they interrupt under fault conditions in switchboards. Few people really understand what can happen if switchboard manufacturers don’t rigorously test their technology to ensure they can withstand major power faults. In some major metropolitan centres, these faults can surge up to 63 kA – enough to knock out under-performing switchboards,” said NESMA Honorary President (Victoria) Mr Wayne Walker. The demonstrations will show the danger to people working on or around such switchboards and will also show owners just how dependent industry is on the rugged reliability of electrical distribution technology to feed current to vital functions such as computing, banking, data processing, manufacturing, industrial processing, lighting, lifts and emergency services – in fact, everything electrical in a building. “NESMA’s objective is to raise awareness, promote a greater understanding of switchboard testing and how different switchboard construction methodologies perform” said Mr Walker. Used in the test were suitably rated moulded case circuit breakers and switchfuse units mounted in various configurations in a switchboard, typical of methods used throughout Australia. Theunits were subjected to a range of fault conditions in accordance with the recognised Australian standard and their performance in the switchboard closely monitored. Beginning with 50kA through fault tests on chassis-mounted MCCB’s followed by comparison tests on compartment mounted units the switchboard was subjected to 14 tests throughout the day culminating with a spectacular unlimited arcing fault test. The audience inspected the switchboard before, during and after each series of tests to see for themselves the damage caused during switchboard faults. NESMA believes the electrical industry should be made more aware of the energy personnel are working with by demonstrating the dangers to plant and people.